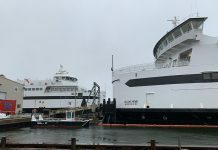 Martha’s Vineyard Nonprofit Collaborative teams up with Institute for Nonprofit Practice. 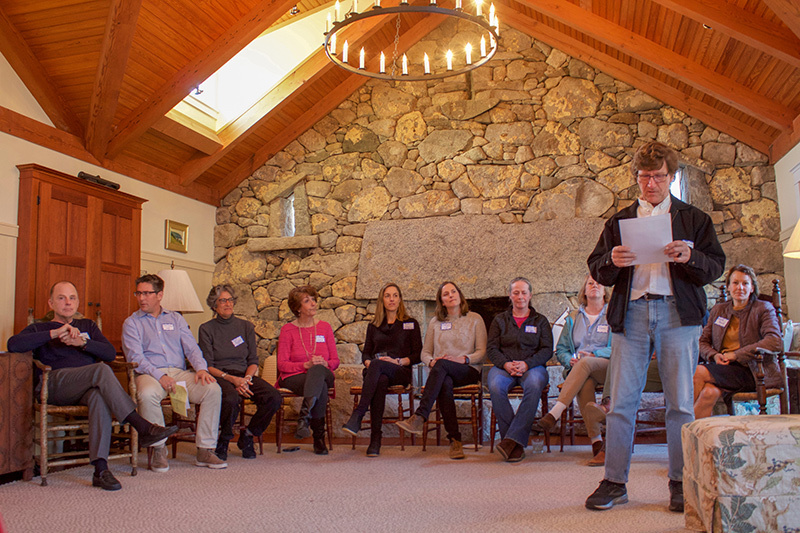 “Meet the class of 2019,” Peter Temple, executive director of the Martha’s Vineyard Nonprofit (formerly Donors) Collaborative, said to the group gathered at the Bunker House in Chilmark. The INP Core Certificate is a year-long academic program aimed at strengthening leaders of the nonprofit sector — be they executive directors, board members, or employees. Wednesday’s gathering celebrated a successful first year on-Island, and provided information and networking opportunities for prospective 2019–20 students. There is an application and interview process, and only eight or nine spaces available per year. The certificate program has been offered successfully in Boston for more than 10 years, and on the Cape for two. Temple saw the promise it brought to the mainland, and asked if there was any way it could be implemented on the Vineyard. With weekly classes on-Island, and monthly sessions on the Cape, Temple and leaders from INP figured out a way to make it work. And just like that, Temple had a class to fill. Students took turns talking about their experiences with the program, which ran from September through April. Rivard and many of the other students touched on the value of connections they made not only within their group, but also the cohort on the Cape. “Different levels of experience, different tenure in their positions, and just hearing how different people approach similar problems was really invaluable … The opportunity to sit down with peers and have those discussions — it was well worth the price of admission,” Rivard said. According to Temple, the program costs about $8,000 per student, but local donations bring that down to $3,500 per student. There are additional scholarships available if needed. Donors include the Peter and Elizabeth C. Tower Foundation, Cape and Islands United Way, Cape Cod Five, the M.V. Nonprofit Collaborative, the Rotary Club of M.V., the Permanent Endowment for M.V., and the Vineyard Fund for Board Education and Development. The rest of the inaugural class includes Kate Desrosiers of Vineyard House, Posie Haeger of Featherstone Center of the Arts, Tom Hallahan of Hospice M.V., Sam Hart of ACE MV, Amy Houghton of M.V. Community Services, Sarah McKay of M.V. Horse Center, and Nevette Previd of the M.V. Nonprofit Collaborative. Application deadlines for the 2019–20 program are May 1 and June 3. Interviews follow, and admissions are rolling. For more information, visit mvdonors.org.